I guess for most bride-to-bes at this day and age, the choices can be very overwhelming. What started as a simple celebration decades ago has now became a million-peso industry and has spiraled into an extravagant affair. It only takes a scroll on our IG feeds for us to keep pointing at this and this detail at Coleen and Billy's wedding at Balesin for us to get into a whirlwind of confusion between needs and wants. Well, of course, they are celebrities so they have the money and the connections, so go lang sila, but what brought me back was the simplicity and the sanctity of what a wedding represents -- which is marriage. So I'll just share quickly what happened when we were looking for a venue and how it helped us see wedding as just a small part of what God is doing in a much larger scale. 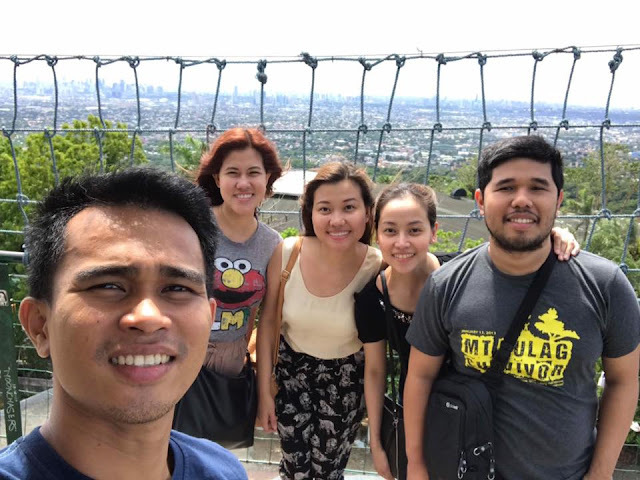 After having our ocular at Tagaytay and Antipolo, we were already choosing between two venues: one was in Antipolo and the other one in Tagaytay. The thing is, I like the ceremony area at the Tagaytay venue but I like the reception area in the one in Antipolo. I also had hesitation because the first one has a smaller space and the second one seems like they're doing this for the first time so we were going back and forth with the best package that they can give us. 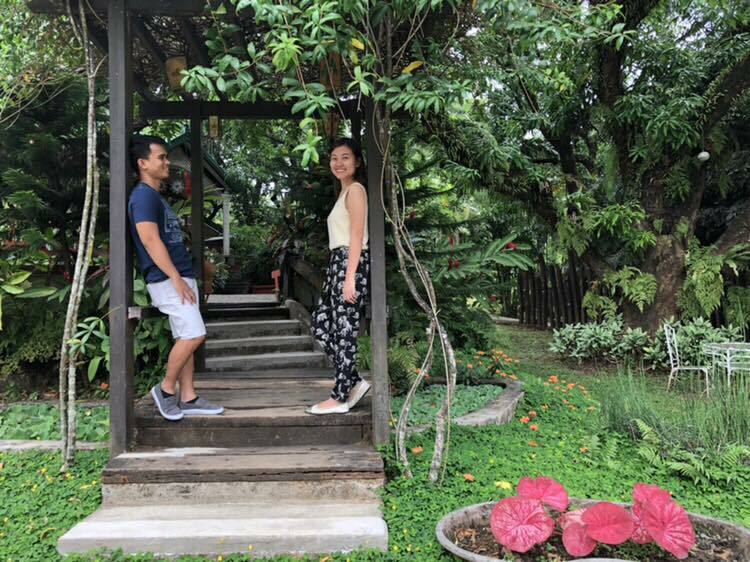 Two weeks into it, my vgroup leader, Ate Ronna, sent me photos of another venue in Tagaytay. I honestly did not want to consider another venue because I already want to decide so we can move forward with our planning. But when I saw the photos, kinilig ako! It showed exactly what we wanted -- it was like the combination of the best parts of the 2 venues we were eyeing and the package was not bad! My prayer to God was, Lord if it's really your will, the best date that we are targeting will be open until next Friday when we will have our ocular. We also trust that You will be the one to provide for it. One of the best advice I was given during this season is to make room for God to move. God values family so He really wants to show Himself in things that would celebrate this like a wedding but we have to allow and give Him space to show His glory. On the last day of fasting, I refrained from looking at the photos of the venue I really wanted kasi baka mastir up pa ko (yehesss, lovelife lang?!) and God settled my heart -- na okay lang talaga kung hindi na yun open. If it's not open anymore, then I know that God has another venue that will be better for our wedding. But lo and behold, after we fasted and when we went to the venue -- the date was wide open!!! Yahoooooo!!! So we after we had lunch, we went back to book our wedding at the venue that we prayed for. When I was thinking about it, the deal we got was really good already because they will pretty much handle most of the things needed so I have more time to insert elements that will make our wedding special. In short, we got ourselves a semi worry-free wedding package! Wheeeeee! Although we also know that we just entered into a faith-stretching season... Because the date is nearer than what we initially intended so that means less time to save and since it's still in Tagaytay, we need to add in other expenses like possibly out of town fees and lodging. So we really need to trust God all the more. It's only been a month and we are grateful that He is growing us in the thick of the preparation. It's not just preparation for wedding, but for marriage. He is in the business of growing our character and our faith. Medyo nakakakaba but we are also excited for God to show Himself in this journey. More updates soon! Sa wakas may venue at date na kami! Totoo na to!! PS. A quick shout out to Dennis for being so patient with me and for supporting me on my whims and yet at the same time reminding me to get past my wants and bring all my desires back to God in prayer... Thank you!! !